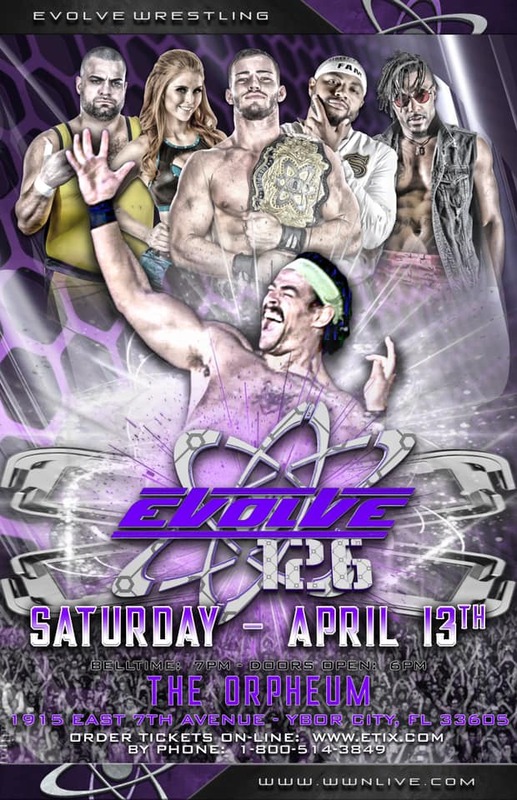 This is the first show of the "new" wXw, and one the changes they announced was that they were ditching Shotgun for more featured events, though they also promised to continue the same style and quality of storytelling they have been giving us. The obvious question was how they were going to continue the same style of storytelling without one of their major storyline-advancing mechanism in Shotgun, and the opening of this show- which, ironically, was originally supposed to be a Shotgun taping- seems to have given us our answer: they'll just keep doing Shotgun-style backstage segments, release them through wXwNow, and insert them into the shows as needed. Because wXw uses a WWE-style "just pretend the cameras aren't there" approach to backstage segments, this is perfectly doable. The first segment we got was one that set up and explained how we got to tonight's main event. SEGMENT IN THE wXw WRESTLIGN ACADEMY - Good. WALTER shows up and sees Timothy Thatcher and Chris Brookes hanging out. WALTER is wearing a RingKampf shirt with both his and Thatcher's names on it, while Thatcher is wearing a CTK shirt. WALTER is a little annoyed and suggests that the reason he and Thatcher failed to repeat as winner of World Tag Team League is that Thatcher is too busy spending time with his new buddy and tag partner in other promotions, Chris Brookes. WALTER challenges them to a match. Brookes points out that if he teams with Thatcher then WALTER doesn't have a partner. WALTER looks up and sees Ilja Dragunov training, and heads off to talk to Ilja. ILJA DRAGUNOV INTERVIEW - He built up his match against PCO at Broken Rules XVIII next month and said he is not content to be just an interim champion so after beating PCO he wants a unification match against wXw Unified World Wrestling Champion Absolute Andy a few days later in Hamburg. Ilja vowed not to become a cheater like Andy, and said a lot of stuff that... I probably should be nice to Ilja and assume there was something lost in the translation, and even with that I could kind of see how he threaded everything he was saying together, but his facials and tone got a little weird towards the end, ending in semi-maniacal laughter, so maybe this was weird in any language. MALE HEEL CHAMPIONS BACKSTAGE- Interesting. Andy gave something of a pep talk to the whole team, although he never addressed Al-Ani directly, which did clearly bother Al-Ani. There was something about an envelope that Jit was revealed was merely full of confetti and that JayFK had thus fooled wXw with this somehow. Not sure what this is about. ABSOLUTE ANDY PROMO - Very good. This was him responding to Ilja's challenge, saying he has no problem meeting Ilja in a unification match, but it unhappy that Ilja is looking past the veteran PCO who Ilja first has to defend his interim title against at Broken Rules. BOBBY GUNNS INTERRUPTS ABSOLUTE ANDY'S PROMO - Very good. Bobby Gunns then showed up and said he wanted a shot at Andy at Broken Rules. Andy said that Bobby Gunns has no grounds for a title shot because he lost to Ilja in the match to crown an interim champion and that match was him cashing in his Shortcut to the Top victory. Andy has a point. Bobby claimed that Andy "weaseled" his way out of the scheduled three-way at World Tag Team League 2018: Day 2 by faking an injury and made fun of Andy's age. This got under Andy's skin and he started to agree to defend the title against Gunns, but then stopped, ordered the cameraman to shut the camera off, and called for his lawyers. This continued, with Andy hilariously threatening to sue wXw and Bobby over this, and calling for his agent and his lawyers. This is the type of Bobby Gunns I'd like to see as a babyface. Someone who knows how to get under other's skin to provoke them into giving him what he wants, but not the outright douchebag he has been as a heel. VIET MULLER ASKS TIMOTHY THATCHER FOR ADVICE ON BEATING JULIAN PACE - Fine. Muller lost to Pace in his home town the last time they faced off and he doesn't want to lose again, so he asks Thatcher, who is 1-0 against Pace, having defeated him earlier this year at Inner Circle V for advice. Thatcher tells Muller to play to his strengths and "maul" Pace to ensure that Pace doesn't have the chance to do any of his high-flying stuff. Muller tried to follow Thatcher's advice but Pace did a good job of keeping away from him. Unfortunately for Pace, he hurt his knee trying to land on his feet when Muller threw him out of the corner. Muller waited for a bit, but then decided to take the opportunity and went after the injured knee from behind while the referee was still checking on Pace. Muller stayed on the knee from there and Pace sold it very well. Pace did get some offense in after this point, but every time he tried to do his usual high-flying it backfired on him and he hurt his knee. Muller eventually won with a figure four. A very good opener. MEIKO SATOMURA INTERVIEW - wXw is usually pretty good with making sure you understand what the wrestlers are saying. They understand that they have a lot of foreign fans who don't speak German, and they also have a good contingent of wrestlers who don't speak German and they understand that a lot of their native fans don't speak English. For this reason they have commentary in both languages, and often have at least one commentator who is bilingual and can translate. They also subtitle all backstage (i.e. pre-taped) dialogue that is not in the same language as the broadcast version you are watching. I tell you all of this to point out how silly it was to see the German-speaking interviewer introduce his guest in German, with English subtitles provided for me on the screen... and then, when Meiko began to speak in her native Japanese, they did not have any subtitles (and probably didn't have them in the German version, either). 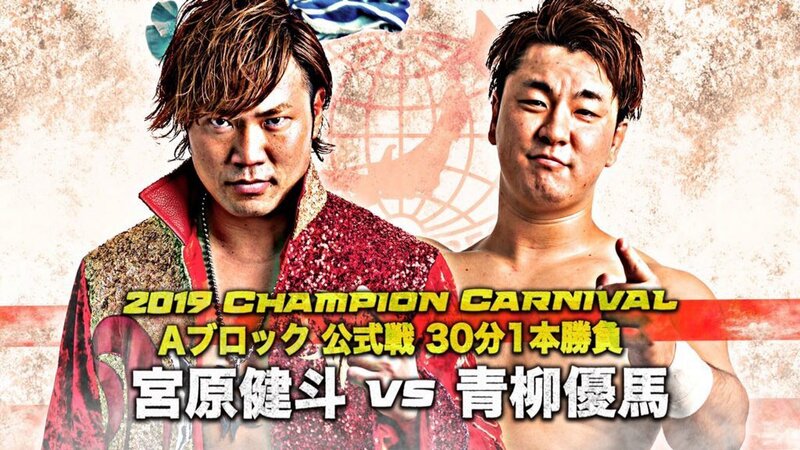 To be fair, the only word I needed to understand in order to get the gist of Meiko's promo was the word said in English (an English word most German wrestling fans would be familiar with as well): championship. But she said a lot more than that, and it just seems odd for a company that is so good with making sure fans who speak other languages understand what is being said to not be able to do in this one instance (surely someone who was there to help Meiko navigate around would have been able to help translate her promo for them as well, right?). An awesome tag team match, with all of the expected intra-RingKampf moments. I loved the fact that WALTER and Ilja picked up the win with Ilja pinning Brookes, as this creates a lot of different possibilities. Does losing to a makeshift team (with Brookes being the "weak link" on his side) make Thatcher decide that focusing on RingKampf is a better career choice? Does beating CTK with a one-off partner make WALTER (and even Ilja) think that maybe this WALTER & Ilja team is a better idea than going with RingKampf? 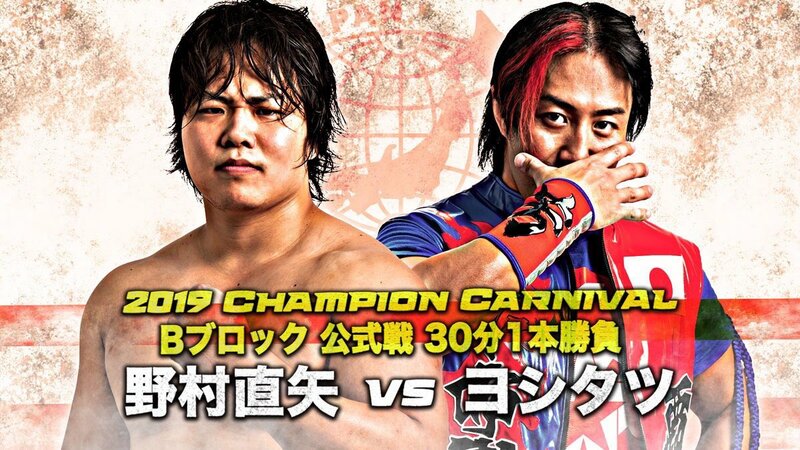 Does little come of this and it just turns out to be a fun, unique match-up that was booked to emphasize the idea that RingKampf are perfectly happy to compete against each other and still be friends because they love honorable competition? Or does WALTER accidentally say the wrong thing to Thatcher later on and it causes RingKampf to split up? AVALANCHE PROMO- He announces that Julian Nero has injured his neck and will be out of action for an indefinite amount of time. Therefore, there is a spot open in Monster Consulting, which they have put out a job posting for. This posting, which was shown on the screen and which Avalanche read to us, was full of corporate interview buzzwords and also specified that they were looking for "a wrestler with consulting experience." I thought it was pretty funny. This was a short but competent babyface vs. heel match with Avalanche getting the clean win. WOMEN BACKSTAGE - We have the odd collection of Melanie Gray, LuFisto, and a barely-recognizable Toni Storm (because her hair is all up in rollers). Toni tells Melanie that she is entitled to a rematch for the wXw Women's Championship and wants it at Broken Rules. I don't know why LuFisto was even there. TONI STORM & KILLER KELLY BACKSTAGE - Kelly gives Toni gummy candies to help her build energy for her title match. That was their excuses, anyway, but it seems to me like Toni just likes Haribo. Toni tells Kelly she is proud of how far Kelly has come in her short time in the wrestling business and they insist that although they may travel all around the world, wXw is their home. Maybe it was just my imagination, but Kelly seemed a little annoyed that Toni had taken all of her candy. 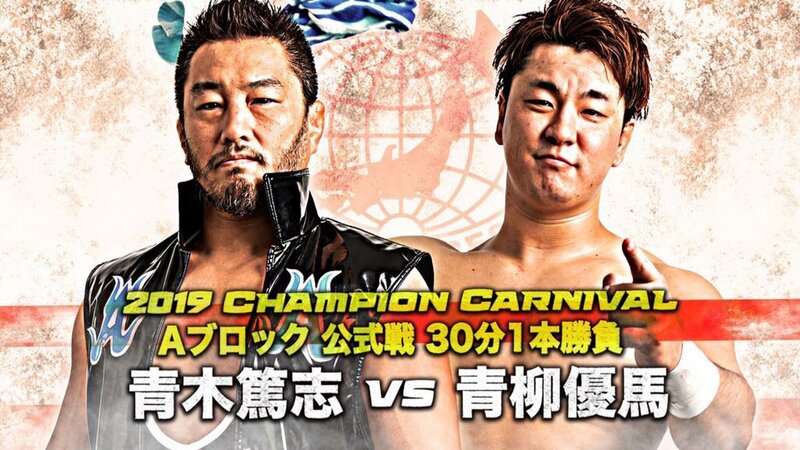 This match was supposed to be a three-way with Monster Consulting, and unless there was a translation error, Avalanche referred to this match as already having happened, so I suspect the matches on this show are not being presented to us in the order they occurred in live. 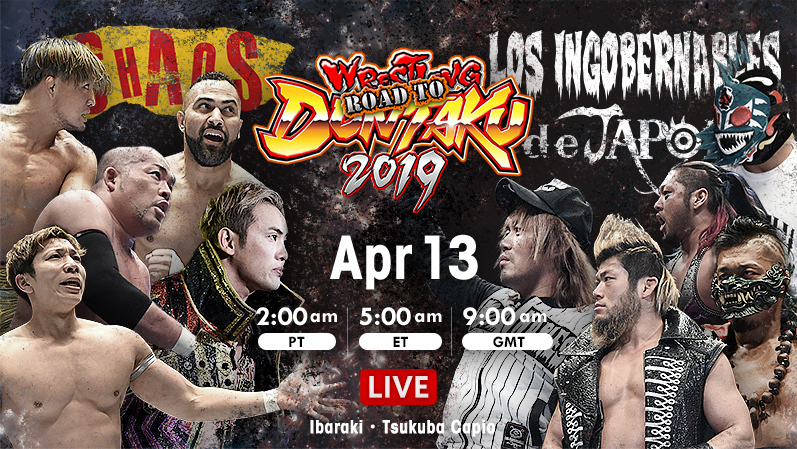 I'm not really sure why they would do that for undercard matches. I can see doing it if you have something you want to be your "TV main event" that needs to have a f*ck finish and you have a strong match with a clean finish elsewhere on the card you can do as the main event in the building, but for matches like this and Avalanche vs. Theiss I have no idea why they would tape out of order, and specifically with Avalanche's promo being what it was. This was a good match for the time it got, with there being a little story about Ali twice avoiding the Arrows' finisher. Coast 2 Coast have improved quite a bit during their extended stay in Europe, and were showcased very effectively here, with the Arrows' still able to get enough in to not lose any credibility. POST-MATCH SEGMENT - Okay. wXw World Tag Team Champions JayFK came out to mockingly congratulate these guys on their match and be jerks, saying they weren't deserving of a title shot. The ring announcer then informed everyone that wXw officials have just informed him that JayFK will be defending their tag titles at Broken Rules against both the Arrows of Hungary and Coast 2 Coast. JayFK didn't like this and tried to attack the Arrows but Coast 2 Coast and the Arrows sent them packing. The delivery here was fine, but if both teams are getting the title shot then why did Coast 2 Coast get the win here instead of going to a time-limit draw? Doing it this way makes the Arrows of Hungary feel like totally undeserving challengers and makes the result of the match we just saw feel meaningless. RINGKAMPF & VIET MULLER BACKSTAGE - BEAUTIFUL segment. Thatcher and WALTER are kind of awkwardly sitting on a couch together, saying they're over the little disagreement they had now that they fought it out like you would expect from RingKampf, and yet they are both clearly still not quite over it. Viet Muller then showed up and Thatcher congratulated him on his win earlier and said he was glad to help out. Thatcher said they were "talking about RingKampf stuff, and different ways [Muller] could prove himself," then asked WALTER "you're not in Hamburg, right?" WALTER confirmed this, to which Thatcher replied. "Of course. You're off... someplace else." Thatcher suggested that in the absence of WALTER, Muller could try his luck against Thatcher himself at the 11/23 show in Hamburg, telling Muller that it will be a great way for Muller to learn. Muller accepted, shook hands with both men, and then left. WALTER then got up and asked Thatcher what he meant by his "of course you're someplace else" dig. Thatcher says that ever since he made the commitment to come back and focus on wrestling here in Germany, that's when WALTER started to do the opposite and focus more on bookings elsewhere. WALTER says that he thought he made his point with everything that happened with them and Brookes and Ilja, and reminds Thatcher that Axel Dieter Jr. is returning in December and Axel wanted them to stay together, and again calls out Thatcher for wearing non-Ringkampf apparel while WALTER himself is wearing a (rather ugly gray-on-gray) RingKampf shirt. Thatcher says he knows what Alex Dieter Jr. wanted them to do and then makes a dig saying that WALTER probably wished he could still be teaming with Axel instead of him (which WALTER immediately denies), before pointing out that the hoodie WALTER is taking issue with is something WALTER had been wearing first, and that "when I go wrestle every place, my tights still say 'RingKampf,' unlike yours who now say 'Ring General.' I think you're a little more focused on yourself." WALTER protests this, but Thatcher assures him that it "is fine. You're world champ everywhere. Good for you. I'm glad. I'm glad. Thatcher continued on over WALTER's protests, saying "so you won a tag match. That's fine. Every time we wrestle all these other places you win. That's fine." Thatcher then challenged WALTER to a match at Broken Rules, saying that he'll probably "get beat up again," but "maybe I hook you" because "maybe all of this international travel is making you soft." WALTER wants to try to talk this out but Thatcher says he's done talking, saying "Go to Australia. I'll see you in Dresden." This is the sort of segment I absolutely adore. Everyone's actions were completely believable, and everything that happened flowed naturally from point to point. And look how many things this segment accomplished! 1) It continued the developing relationship between Thatcher and Muller, 2) raised the idea of Muller as a prospective member of RingKampf, 3) set up the match between Muller and Thatcher in Hamburg, 4) set up for Axel Dieter Jr.'s to be able to have some effect on the storyline when he makes his WWE-sanctioned return appearance at the 18th Anniversary Show, 5) upped the tension between WALTER and Thatcher and elaborating on the themes already established, 6) planted the idea that Thatcher is jealous of WALTER's success of feels held back by him 7) set up the WALTER vs. Thatcher match for Broken Rules. I LOVE IT! The story of this match was that Killer Kelly was not having any of Kris Wolf's bullsh*t. That, plus the fact that she hits hard and throws people around with suplexes are the reasons Killer Kelly is one of my favorites. Wolf got one or two moves in, plus a shenanigan, but otherwise this was all Kelly, and pretty short as well. ALEXANDER JAMES & JURN SIMMONS ACCOST AVALANCHE WHILE HE IS PUTTING UP FLYERS AROUND TOWN - Good segment. They make fun of Avalanche for no longer having a tag team partner or the tag team titles, and claim that Julian Nero isn't really injured but rather is scared of them after seeing what they did to Dirty Dragan and Emil Sitoci. Avalanche insisted he would have a partner in Dresden and challenge them to a tag team match. They accepted, and after Avalanche left, they took down the flyer he had put up, which was the want-ad for a new member of Monster Consulting that he had shown us in the arena, thus trying to ensure that no one saw it and offered to tag with him. KILLER KELLY & KRIS WOLF BACKSTAGE - They thanked each other for the match they had tonight and noted they are booked against each other again at Broken Rules, but this time in a three-way with Audrey Bride. Kelly noted that she had also defeated Wolf at this year's Femme Fatales show, but then told Kris not to feel bad because it was "only one match." Um... it's two matches now then, isn't it? This segment seems like it was conceived of and filmed before their match on tonight's show was booked, and was then accidentally left in. If true (as opposed to Kelly just misspeaking) then that would be two continuity gaffes on one show, which is troubling. Like the Avalanche promo, I am willing to believe that this was just an error (English is not Kelly's first language- although she seems fluent enough that she knows the difference between one and two, and it is Wolf's first language so she should have corrected her and they could shoot it over), but the presence of two of them on the same show makes it feel a lot less likely. As for the rest of this segment, Wolf got offended when Kelly referred to her as "kid" (Wolf is eight years older than Kelly), and responded by angrily declaring (while holding her wolf puppet out towards Kelly) "I am 238 years old! I was beating up humans before you were even formed in your mother's womb!" Regarding their match at Broken Rules, she told Kelly "I'll see you there" and left... only to come back to specify that she meant she would see Kris at the match and not in her mother's womb. This had me rolling with laughter. Kelly's reaction to all of this was excellent as well. PCO PROMO - Wacky. His intensity was good, but everything else was a little... abnormal. Like he was just saying things that he thought would sound cool without any real coherent message that made sense in context. I'm really not crazy about Andy- who turned heel because he thought the younger wrestlers were all disrespectful young punks- teaming with two guys who legitimately are disrespectful young punks and the very guy he turned on because he thought he was a disrespectful young punk. Even with Tarkan's seal of approval, I don't like Andy and Al-Ani teaming together. I know they've done it before on Shotgun and I know it's always been in large tag matches, but I still don't like it. An A4 reunion just feels like too big a thing to do this soon after their split. Yes, I know it's been a year since they split, but the feud just ended a few months ago). The match started off with Gunns jumping the bell on Andy by running at him and taking him down with a flying armbar. They had a GREAT multi-man tag. Lucky was the babyface in peril and sold very well. They build up all of the potential title matches here very well, and Lucky getting the pin on wXw Shotgun Champion Al-Ani felt like a huge deal. 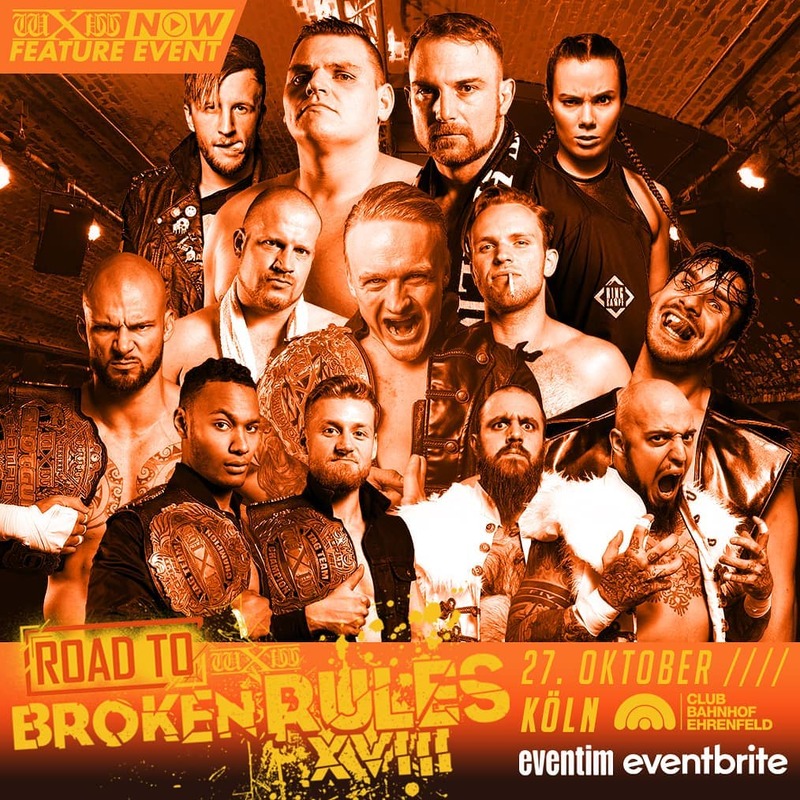 They announced that Absolute Andy and Bobby Gunns will meet at Broken Rules, with the winner of that match facing the winner of PCO vs. Ilja in Hamburg on November 23 to once again crown an official wXw Unified World Wrestling Champion (Ilja is the interim champion, as Andy had to moss some defenses due to a shoulder injury). Also just announced for that Hamburg show is Marius Al-Ani defending the Shotgun Title against Lucky Kid. RISE BACKSTAGE - Lucky is celebrating his victory and the news that he is getting a title shot. Pete Bouncer and Ivan Kiev are happy and confident for him. Marius Al-Ani walks in to make fun of Lucky for being small. This was... unnecessary. A very good show from wXw. It was built around two major matches that both delivered, and everything else served the purpose of moving the plots along. It did an excellent job of building things up for Broken Rules as well. I don't think I've been this excited for a wXw show since True Colors back in April. That being said, the possible production/continuity gaffes do concern me. Hopefully such things don't mar the exciting show that Broken Rules XVIII promises to be.